In ACET faculty pays more attention to the students initially to build the base of the student. The books are issued easily from the library. The international exposure is not good. The language of teaching is English and Hindi too. Student travels from nearby cities. The faculties and staff at Aligarh College of Engineering and Technology always try to make the learning process simple and easily adaptable by the students With a pledge to protect and keep our earth clean and green. 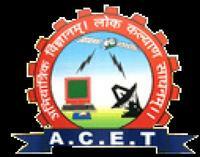 If you are looking for a good engineering college around Aligarh apart from AMU in Aligarh than you must try ACET and I assure that you will find it better than good. Their course structure is really well and apart from this, there are many student clubs in the college for co-curricular activities such as for sports, cultural activities. The college provides all relevant study material and other reference books could be easily borrowed from the library. All the teachers and staff are highly professional. The environment of college is friendly but the students have to follow the rules and regulations as laid down by the College. It provides the students a platform to full fill their dreams. There is no alcohol consumption on Aligarh College of Engineering and Technology campus. There is no pubs and bar around the college campus. 8 hours First two years were okay But later it becomes worse. I am not satisfied with the services and education they are providing. There are not so many festivals happen over there. Management is not so active in doing that Teachers also don't allow students to participate freely in the fest. There is a lot of pressure if attendance. The faculty team is a bit strict about academic and attendance but the quality of teaching is great. The overall experience was good. There are many clubs and life in college is adventurous. The timings at Aligarh College are fixed. Projects are given to students to improve themselves. At Aligarh college, cultural programs are held regularly. Sports events are also conducted regularly.